Printing instructions, size guides and FAQ's can be found in the Blog! This is a fantastically simple t-shirt to sew. There are not tricky sleeves to fit to any arm holes, the sleeves have been designed as kimono style which simply means they are part of the bodice. You simply lay the front at the back pieces together at stitch at the shoulder and side seams. 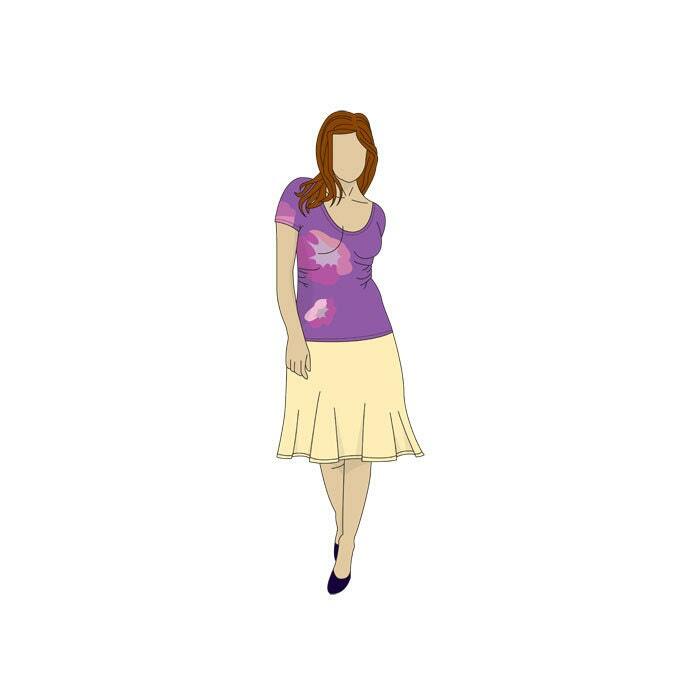 This pattern has been designed to be a longer length t-shirt which means it will finish at the lower hip level. 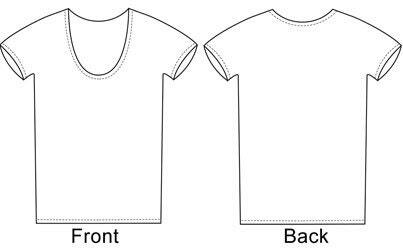 Although you can easily make a short t-shirt by trimming the pattern to the desired length. The t-shirt pattern also features a deep scoop neck. The most complex part of this pattern will be attaching the facings. You'll need to apply facings to the neck and sleeves. It's quite straight forward to sew the facings but if you struggle refer to a good sewing book. This would make a great evening project as it can be sewn in a few hours. This pattern is also ideal for t-shirt screen printing as there are no sleeve seams there is more area for printing. Please read the instructions included for further information on fabric requirements etc. The patterns included are size 8-22 UK Sizes. These are FULL SIZE patterns (this is an all in one/multisized pattern so you can adjust the pattern should you be an inbetween size, and cut the size you need). Graphic instructions are included. Each step by step picture is easy to follow.